OTTAWA, Ontario–(BUSINESS WIRE)–lt;a href=”https://twitter.com/hashtag/WOC2019?src=hash” target=”_blank”gt;#WOC2019lt;/agt;–Giatec Scientific, the market leader of revolutionary concrete testing equipment, today announced it has partnered with Redi-Mix, LLC (“Redi-Mix”), a business unit of U.S. Concrete, Inc. (NASDAQ: USCR), a leading supplier of concrete and aggregates for large-scale commercial, residential and infrastructure projects to use Giatec’s Smart™ Concrete solution in the North Texas market. U.S. Concrete has already successfully implemented the Smart™ Concrete solution in the San Francisco Bay market. Smart™ Concrete is a value-added solution for ready-mixed concrete producers which leverages Giatec’s leading wireless concrete sensor for monitoring temperature and strength. The maturity method for determining strength of concrete without breaking concrete cylinders is becoming increasingly popular across North America but requires a prior calibration of the mix. Smart™ Concrete is the only solution available that allows for the customers of ready-mix producers to select their desired mix calibrations through the Smart™ Concrete app and share critical, real-time data with all project stakeholders. Smart™ Concrete now serves dozens of markets across North America. Using the Smart™ Concrete solution, ready-mixed concrete producers and their clients have reduced reliance on cylinder break tests, have helped clients save days, even weeks off project schedules and have increased the profitability of their pours by up to 20%. Giatec is revolutionizing the construction industry by bringing smart concrete testing technologies and real-time data collection to the forefront of every jobsite. Giatec has a full range of hardware, software which analyze data during design, production, delivery, placement, and service. Giatec also creates non-destructive testing products, for measuring and monitoring the life cycle of concrete structures. 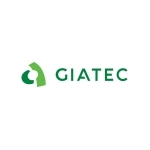 Headquartered in Ottawa, Canada, Giatec was recognized in 2018 as one of the country’s fastest growing companies.